This week's episode of popular anime Psycho-Pass New Edit Version won't be broadcasted in Japan. In light of a recent murder, the show's creators deemed the episode "inappropriate." Note: This article contains content some readers might find objectionable. It also contains what some readers might view as spoilers. As reported by our colleagues at Jezebel, a 16-year-old girl from Nagasaki prefecture has been arrested for allegedly killing, dismembering, and decapitating a classmate with a saw. According to The Japan Times, the suspect is quoted as saying she "wanted to dissect" someone and allegedly used to cut up animals. The unaired episode apparently features a schoolgirl who is dismembered and decapitated by a classmate—and then displayed as some sort of gruesome sculpture. The upcoming episode seems unnervingly timely in a most unsettling way. As many readers have pointed out, this is a re-edited version of a previously aired anime. Still, talk about an unfortunate coincidence! 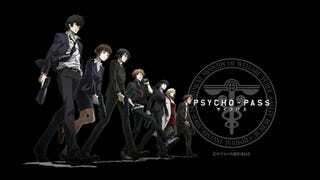 "There are no plans to air the episode," says Psycho-Pass's official site. The next episode that will be aired is the fifth one. On the official Psycho-Pass Twitter account, however, it was announced that the episode will be available via on-demand services on August 1. Seeing how the Japanese mass media already tried to draw a tenuous link between the brutal murder and anime, not airing the episode is smart—and then, for fans who want to see it, making it available via on-demand is even smarter. Accused Murderer and Victim Both "Liked Anime"
Psycho-Pass New Edit Version airs weekly on Fuji TV in Japan at around 1am.